DJ background beats are quite popular nowadays, especially among the young. The passionate rhythms are very refreshing. If you are on your way to go to work by subway, you can listen to some of them to offer you some energy. Thus, you can be more efficient at work in your company. If you desire to save some DJ background beats on your computer or portable devices to allow you to enjoy listening on the go, you can read this guidance to help you. This tutorial will show you some great methods to achieve this aim. The solutions to get DJ background beat MP3 free download are various. Here I would like to recommend 4 best ones to allow you to make it. It is one direct way to get DJ background beats free download from DJ music websites directly. You can just search for the DJ background beats on the website and download the DJ beats you like. Here I would like to take SoundCloud for instance. 1. Open a web browser and then navigate to the website of SoundCloud. 2. Search for the DJ background beats in the searching box and the results will be shown in the interface. 3. Hit on the option of “Free Download” under the track wave. 4. After that, hit on “DOWNLOAD” button and then it may ask you to log into this website. Sign into it with your own email address. Thus, the DJ background beats will be saved in your computer. You can also gain the background beats for DJ mixing free download via the help of a professional program —Leawo Music Recorder. 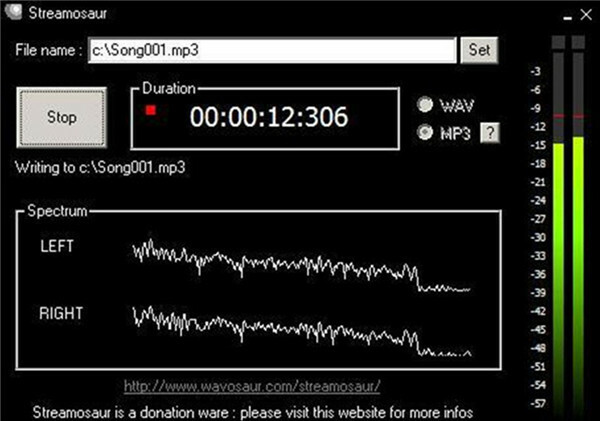 This software has been developed for years to record online streaming audios to MP3 or WAV format files, and it can also be applied to download input sounds. In addition, it allows you to edit music tags manually. You can read carefully on the contents in the following to get this work done smoothly. Run the software and then click on the microphone icon to bring out the settings panel. Hit on the option of “Audio Source” to choose the tab of “Record Computer Audio” to click on, for you desire to record the DJ background beats online. Hit on the “Format” menu. 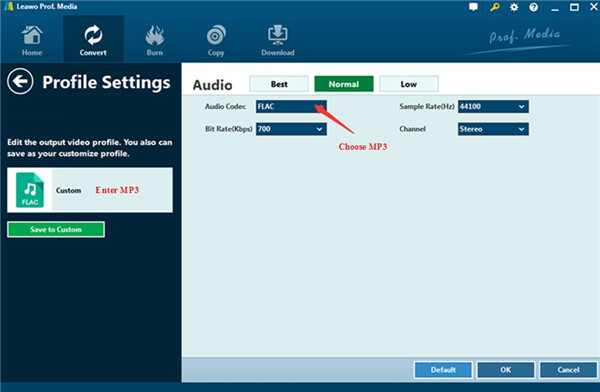 Click on the downward triangle box at the right side of the option box of “Output Format” and set it to “mp3 Audio (*.mp3)”. You can also set the detailed parameters via this panel, like the bit rate and sample rate. After that, you need to hit on the menu of “General”. Click on the folder icon in the interface to choose one proper directory to save the recorded DJ background beats. Go back to the main interface of the software and then click on the red record button. Play the DJ background beats music online at the same time. Thus, the program will record the music for you right away. Hit on the record button again when the music is over. Thus, it will be saved in the computer folder that you have just set. If you would like to edit the record DJ beats music, you can tap on the file name to take advantage of the “Music Tags Edit” panel to make it. 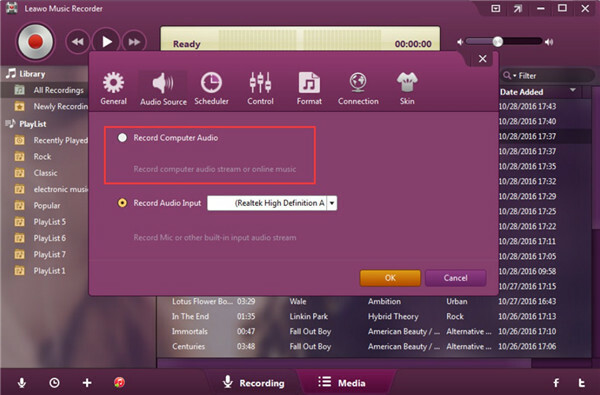 When it comes to the issue of obtaining DJ background music beats download, Streammosaur can play a good role for you. This free recording tool is quite convenient for you to record audios into the format of MP3 and WAV. The following paragraphs will direct you to achieve your aim perfectly via Streamosaur. 1. 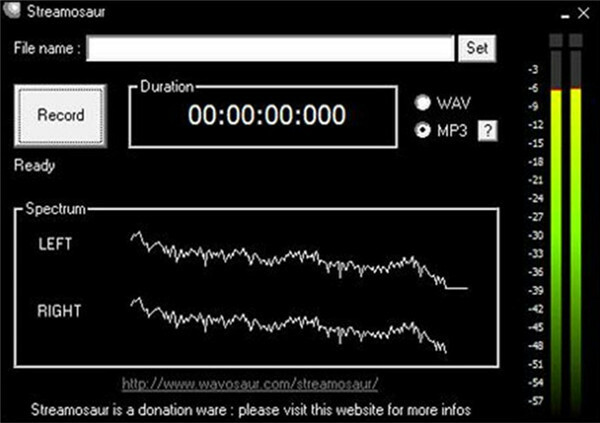 Run Streamosaur on your computer and then click on the option of WAV or MP3 to set the output format. Then, you can select one target folder to save the recorded DJ beats music by hitting on the button of “Set”. Finally, hit on the button of “Record” and play the DJ beats music online at the same time to allow the software to record the music directly. 2. Hit on the “Stop” button when the recording comes to an end. Thus, you can find the recorded DJ beats music on the target folder that you have just set. Of course, you can make use of online music downloader to get DJ background beats download if you are not willing to download and install any program on your computer. 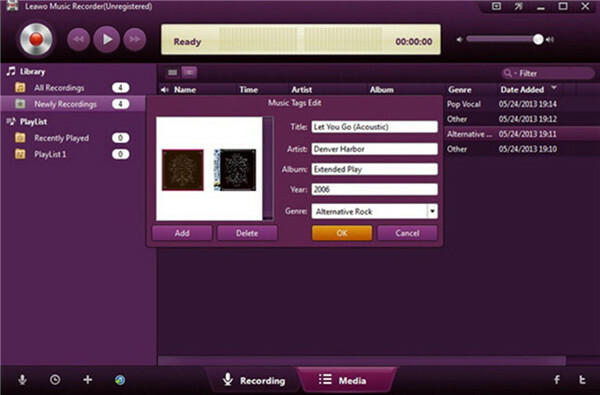 However, you will not be able to edit the recorded music files with online music downloader. OnlineVoiceRecorder.com is one great website for you to record computer audio. This tutorial will display you how to realize DJ background beats MP3 download by recording via online music downloader. 1. Visit the website of OnlineVoiceRecorder, and then you will view some options at the top menu bar for you to choose. Select “Voice Recorder” and the main window of recording will show up. 2. Hit on the red record button at the left side of the interface and playback the online streaming DJ beats music at the same time. Thus, this online music downloader will begin to work for you to record the audio file automatically. 3. When the DJ beats music completes playing, you can hit on the record button to terminate the recording procedure. Hit on the button of “Save” and the online music downloader will prepare the recorded DJ beats music for saving. Afterwards, tap on the button of “Click to Save” at the right side to choose one proper location on your computer to store the recorded DJ background beats music. With the above 4 methods, you can finish the task of DJ background beats download effortlessly. Except recording DJ beats music on Windows/Mac, Leawo Music Recorder can assist users to record music from other sources as well. For instance, you can record YouTube audio with this excellent recording tool. If the DJ background beats music is not in the format of MP3, you can take advantage of professional tools to convert it to MP3. 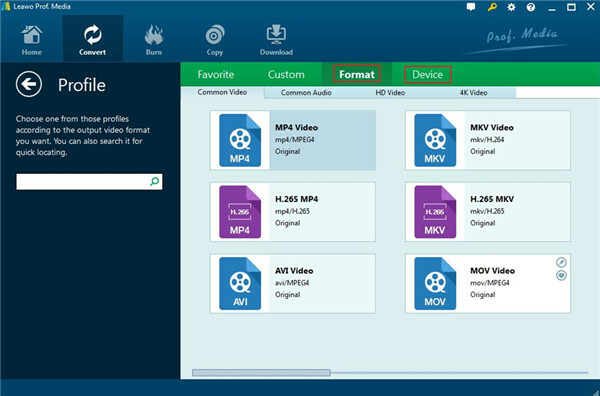 Leawo Video ConverterLeawo Video Converter will be handy for you to solve this problem. You can refer to the clear-cut instructions shown below to get rid of the issue. 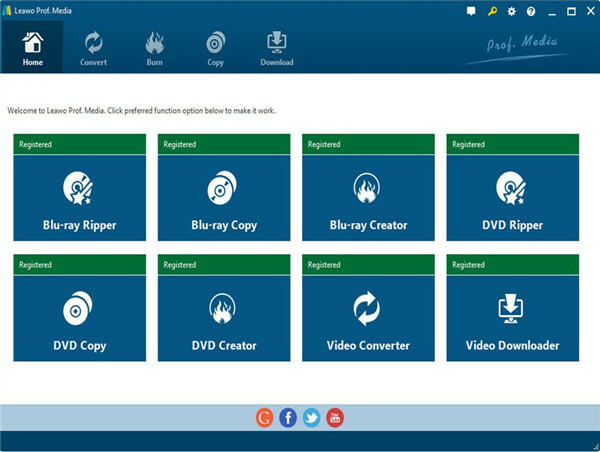 Run Leawo Prof.Media on your computer and then hit on the option of “Video Converter” to bring out the main interface of this module. Hit on the tab of “Add Video” and choose the DJ beats music you have downloaded. Thus, the music file will be imported to the software window. You can also make use of the feature of “Drag File Into Me” to load the DJ beats music to the screen. In the fast searching bar, type in “MP3” to select MP3 as the target format of the converted DJ beats music file. Hit on the “Edit” menu to choose proper parameters for the converted music file, such as the audio codec, channel, sample rate, and bit rate. Tap on the button “Convert” and then click on the folder icon that shows in the right-side panel to set one suitable output folder to save the converted DJ beats music file. Finally, you can hit on the “Convert” button at the bottom of the side window to begin to convert DJ beats music into MP3 right away. Wait for a while and the converted MP3 file will be available in your target folder. After you read through this guidance, you will understand that it is not hard to download DJ beats music. Among all the methods shown in the above, I strongly recommend you choose Leawo Music Recorder to help you, for this tool is powerful enough for you to record almost any audio comes from your computer and microphone.